Our youth and educational services goal is to develop fully prepared, engaged and empowered young people with the cognitive and social skills needed to compete and succeed in the 21st century. YLEAD – Youth Learning Economics and Appreciating Diversity is a free program sponsored by Fifth Third Bank with support from United Way and the LFUCG Division of Social Services. It teaches middle school youth entrepreneurship skills through entrepreneurship. Students work in diverse groups to create a business and marketing plan, budget, develop a product or service, and manage investments. One Community, One Voice Academic Challenge – In partnership with Fayette County Public Schools, our One Community, One Voice Academic Challenge was implemented in 2006 to help close the achievement gap. Second through fifth grade students can participate in tutoring sessions and annually compete for college scholarships. For more information, please Click Here. 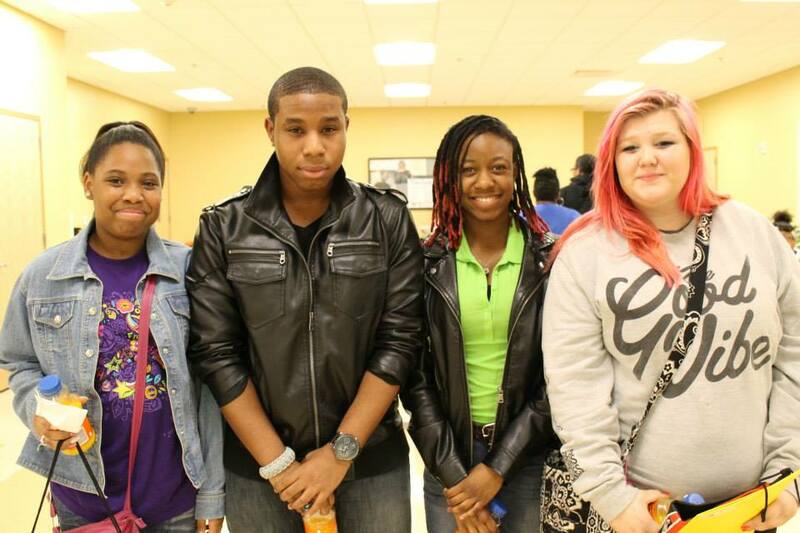 MADE – Motivated All Day Everyday is a gang violence and prevention program for middle and high school students. It provides weekly group counseling and mentoring services for youth identified as “at-risk” of engaging in gang-related activity by school personnel. The program provides coping strategies and life skills to help students deal with the reality of drugs, and gang/community violence. In addition, the program challenges students to develop critical thinking skills that have helped them improve in classroom. For more information please contact Quincy Murdock. Prep & Play – The Urban League’s Parent Readiness Empowerment Program and Parent Leadership Academy is a series of workshops to help parents and caregivers better engage in their child’s education. Parents will learn what to ask teacher’s during the parent/teacher conference, what is expected of their child, how to help their child achieve their full potential, communicating and advocating with others, and how to access their child’s grades. Enroll at www.pla2017.eventbrite.com. LIFT – The Lifting and Impacting Futures Today Conference is a one-day conference for middle and high school students across Kentucky. Students and parents gather to learn more about being prepared for college and the workforce. Parents spend additional time learning about financial aid and their child’s individual development plans. High school seniors are eligible to compete for books scholarships and other students have an opportunity to win additional prizes. For more information please contact Stacey Harris.